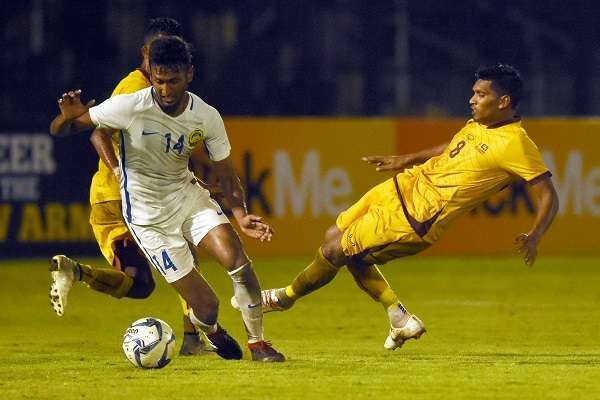 Malaysia staged a superb second half rally to beat Sri Lanka 4-1 in their international friendly football encounter worked off at the Sugathadasa Stadium in Colombo. Sri Lanka surprised their more fancied opponents when they opened the scoring after 30 minutes of play through Asela Madushan. However, Malaysia came back with a powerful performance in the second half and turned the game in their favour by scoring three magnificent goals. Mohamed Zaquan produced the equaliser in the 48th minute and Norshahrul Idlal put the visitors in front with their second goal in the 65th minute. Malaysia continued their dominance and added two more goals to their tally during the latter stages through Mohamed Fazly (70th minute) and Adam Nor (76th minute) respectively.